Drum roll please…this month is all about centering. I like doing these blog series because it allows me to take a deep dive into a subject. In that deep dive I can provide more than just simple instruction that may or may not make sense. For me what is usually most important is not what goes on the surface. It is the inner state that needs to be worked on and with for the surface to reflection to become more clear or more understandable. I also love taking deep dives into the foundational practices behind living a spiritual life. Without a deeper understand of what is going on behind the scenes we run into the problem of simply going through the motions. That being said, centering is a heck of a lot more than simply gathering your thoughts or coming to a zen point of releasing thought. It’s even more than gathering your energy around you. I haven’t met a Llewellyn book yet that adequately covers the practice of centering. It’s not simply a meditation or even mental concept to ruminate about. It is an active practice. It is also a practice that one practices many times though out the day. Centering is often talked about in terms of the side effects or the first steps to getting there. But those things aren’t the whole of centering. 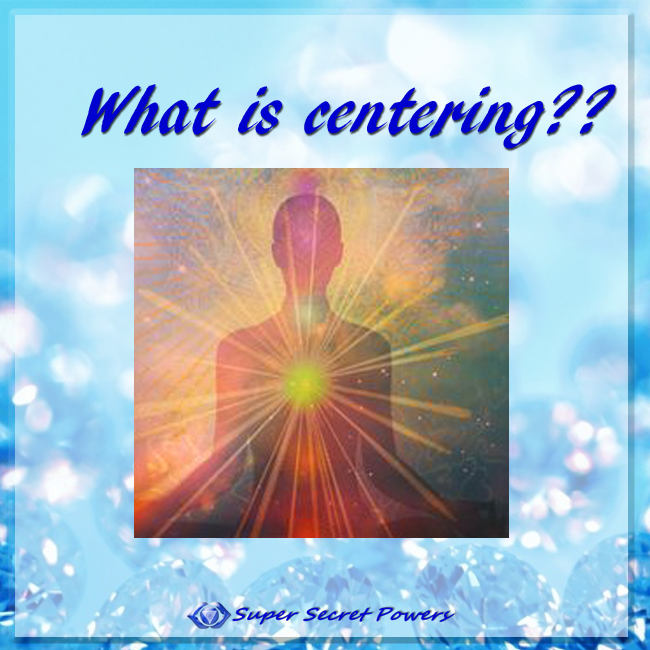 Centering is allowing Soul back into body, to be in holistically in alignment, so that our natural power, Wisdom, Love, and Presence can flow freely. Being centered is our natural state of being. It it how we were born into this world, and it has bee only through learning to fear that we have left behind that which is truly authentic about us. So many of us have the tendency to want to hold soul separate from body. I’ll talk more about this in a future post. But for now I will simply state that Soul needs to be in body (even if its a bit of a contradiction to the literal mind). And that that there is no separation in our Divinity between Soul and Body. They are one in the same, parts of a higher being. Centering happens when we accept and recognize our Divine spark-self, and begin letting that drive the bus. While is our most natural state of being, we are taught that spiritual people do not feel anger and no not feel depressed or lonely or jealous. And because we feel these things, instead of recognizing the common experience of pain, we think there is something wrong with us. Because of ego, fear, we begin to believe that our feelings and innate worth is definitely less than Divine. No matter how lost or broken we might feel, (or ego causes us to feel) there is never a separation of Soul and Body, self and the innate Divinity we were all born with. There cannot be. If it feels like Soul is far from body, please recognize that this is an illusion that is not true on any level. Since I have digressed into the esoteric a bit, let’s back to the practical side of centering. I often find it’s easier to go about understanding things of spiritual nature by first looking at what I know feels wrong or what makes my body/mind feel worse. When Soul is embodied, all these little ego traps don’t work to stop us or get us hung up because Soul is literally the juice that moves us to Wiser and Clearer thinking. 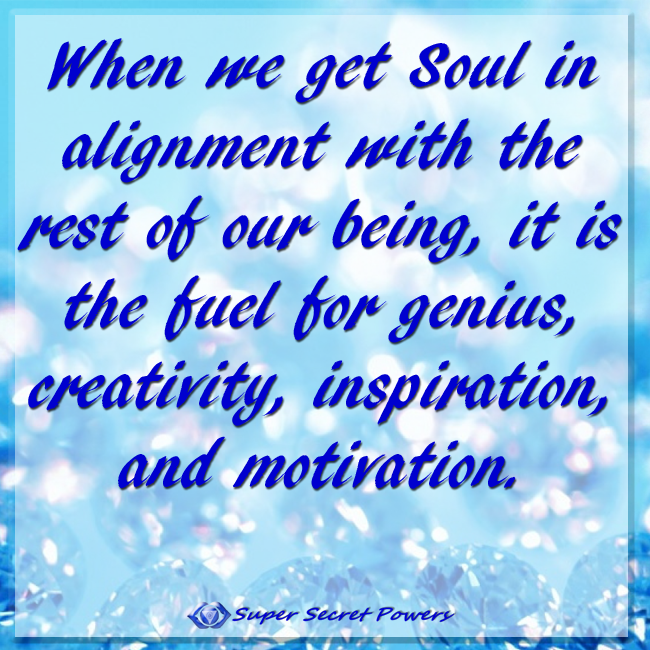 When we get Soul in alignment with the rest of us, it is the fuel for genius, creativity, inspiration, and motivation. When our full self is in alignment, we are act from our inner guidance system. That inner guidance system can only be fully activated when Soul in the house, so to speak. The guidance is always present, but it is our in-soul-ment that seems like it’s running off and on again. The one thing I had to experience to believe was that the connection to Soul and Divine is always present, I just had to meet it in the present. I realize I had to be consistent, not the other way around. This is just the beginning of understanding the practice of Centering, and I hope you will stay tuned for the rest of the series! Don’t forget you can sign up for my newsletter to get my newest posts delivered to your inbox, plus you’ll get the Sensitive’s Essential Thriving Kit free!